Climb to the top of the building while chasing a monkey in this action fighting game based on The Hangover 2 movie for Warner Bros. Created in Flash with Actionscript 3.0. Game design and programming. Wrote the game design document and designed layout for each of the game's 15 stages. Implemented over 70 lines of Ken Jeong's ADR voiceover. iPhone version developed by Patrick Cook. 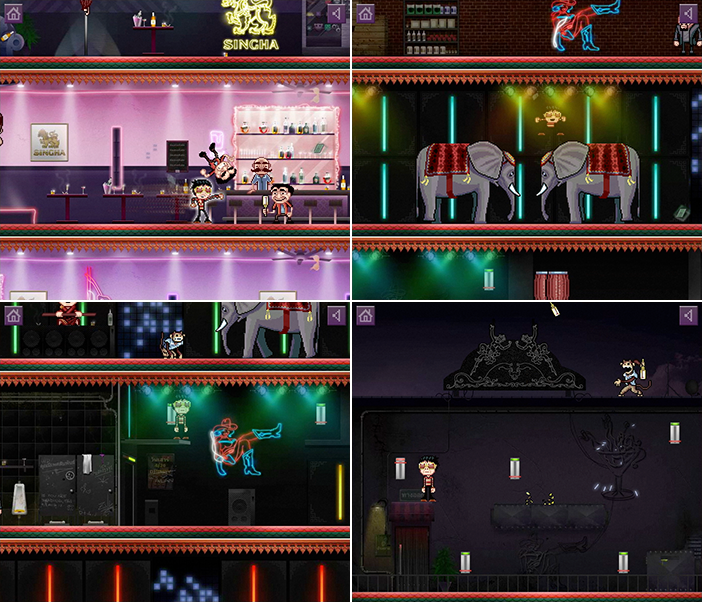 Gameplay inspired by the Ninja Gaiden series and Corporate Climber. Concept, graphic design and illustration by Rafael Dante. Character animation by Carl Douglas. Produced by Nick Mountford.